John Lennon Songwriting Contest Finalist! Jeff's song "Say Anything You Want" was recently selected as a finalist in the prestigious John Lennon International Songwriting Contest! Coffee House Live on Sirius/XM! Jeff will be doing an exclusive live session on Sirius/XM's Coffee House on Thursday, September 3rd at Noon EST! Be sure to tune in. It's been a HOT summer so far… It's been an awesome run, first, touring with Tori Kelly (she's incredible) and now Parachute! There's lots more coming up so stay tuned! New Album "Vision" Available NOW! The new album "Vision" is officially available in all digital music stores including iTunes, Spotify and Amazon. Physical copies of the record will be sold in the online store. Can't wait to hear what you think of the new album! You can now pre-order the new album "Vision" from iTunes! You will receive an instant download of the first single "Stumbled". Click HERE to pre-order! The new album "Vision" is coming May 12th! So excited to announce the release of my next album "Vision". Stay tuned for details including iTunes pre-order information! Tickets are on sale now for Jeff's very special album release shows this Spring! Official album release date to be announced soon. Successfully avoided superstorm Juno. Time to make a new album! I can't believe we're officially in 2015. It's been a fun few months of touring, holidays and a 10 year high school reunion. I hope you've all been well! As many of you know - my next album was successfully Kickstarted back in November and we'll be hitting the studio at the end of this month. I appreciate you all being part of the journey! Stay tuned for an exciting year. I'm making my 4th album! 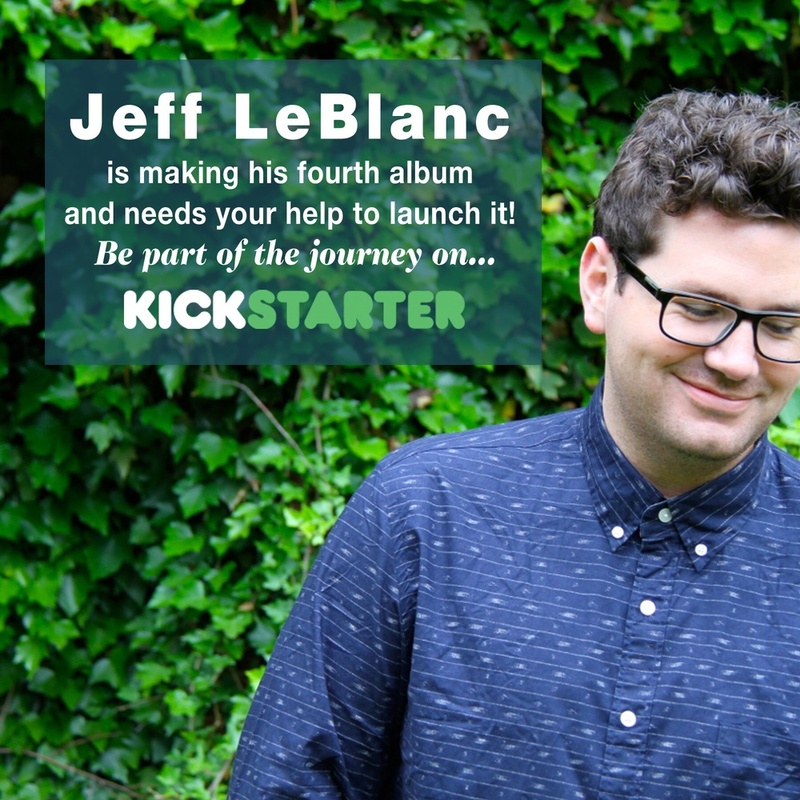 My Kickstarter has officially launched... We have 35 days to hit the goal! Let's do this! Stay tuned for a major announcement this Wednesday, October 15th at Noon EST. Back at the Stephen Talkhouse! Jeff is back at the legendary Stephen Talkhouse this Monday, August 4th! It's always a great time at the Talkhouse. Grab your tickets on the tour page. Check out the new music video for "I Don't Wanna Give Up"! Great night at Infinity Hall! Special thanks to Ambrosia for having me open up last night at Infinity Hall in Norfolk, CT! Always one of my favorite rooms to play... What a crowd! A special one-take "Stay With Me" acoustic cover! Check out Jeff's acoustic cover of "Stay With Me" by Sam Smith! Check out the new live acoustic video of "My Own Way There" under the videos tab! Bowery Ballroom w/ Chris Stapleton! I'll be at the Bowery Ballroom tomorrow night - May 28th - opening for one of my favorite country artists, Chris Stapleton! A special concert with North Shore Animal League! I'm excited to be partnering with my friends at North Shore Animal League America for a special free concert on May 31st!